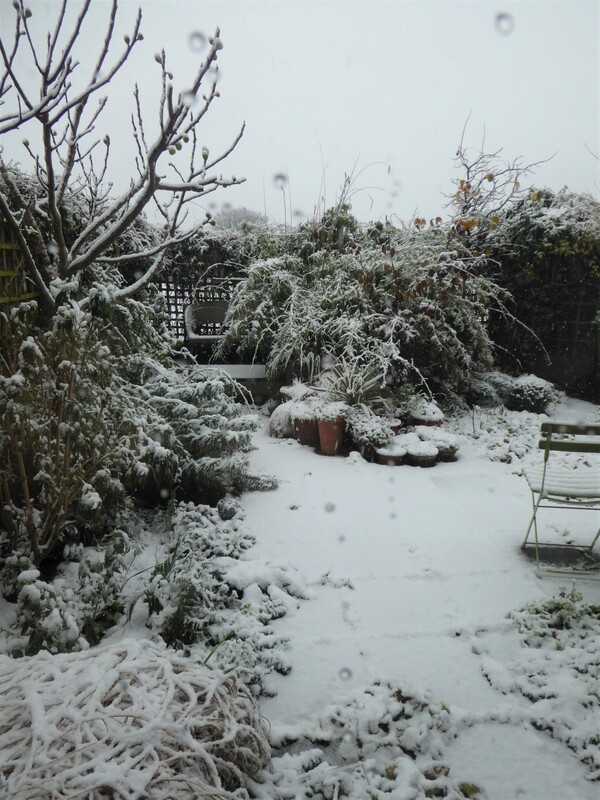 A Happy New Gardening Year 2018 to all…. 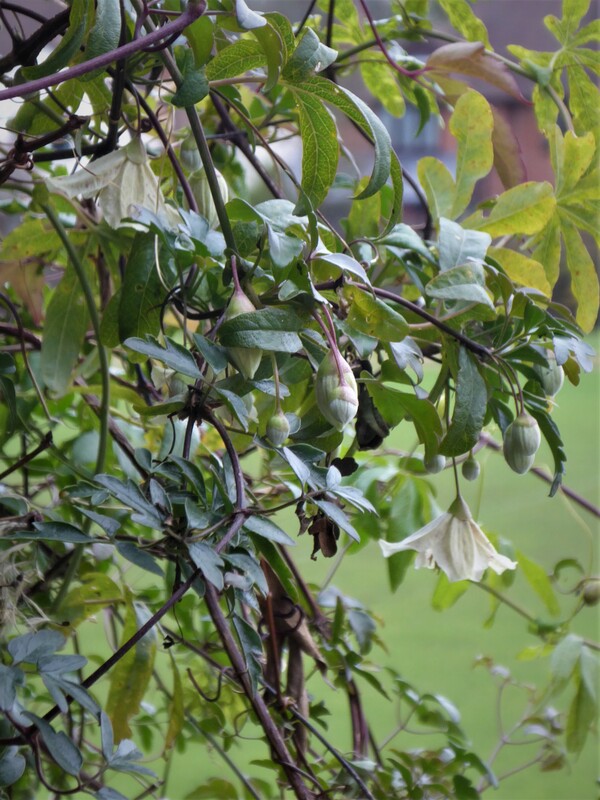 Clematis chirrosa blooming away in my garden, ringing out the old year and welcoming in the new – a wonderful evergreen climber, with glossy leaves, fast growth and great healthy good looks in the middle of winter – what a star! 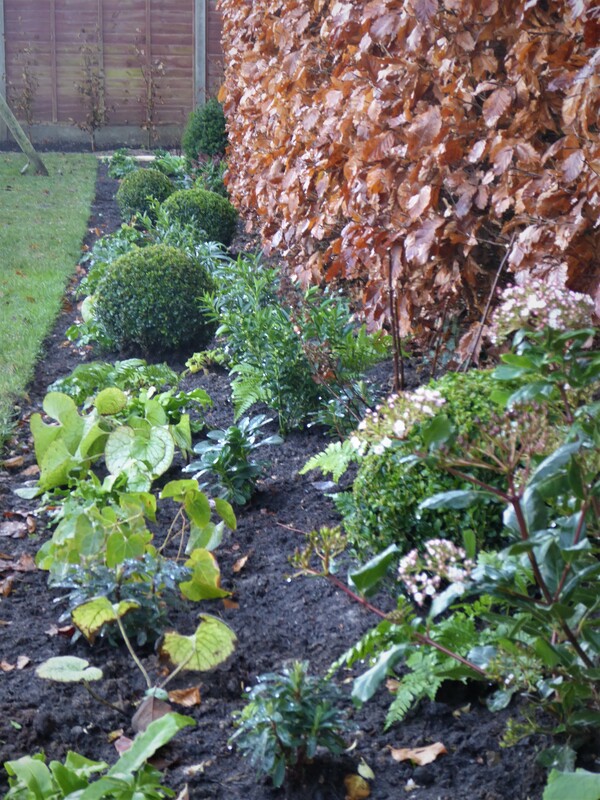 Looking foward to many new gardening highlights next year! 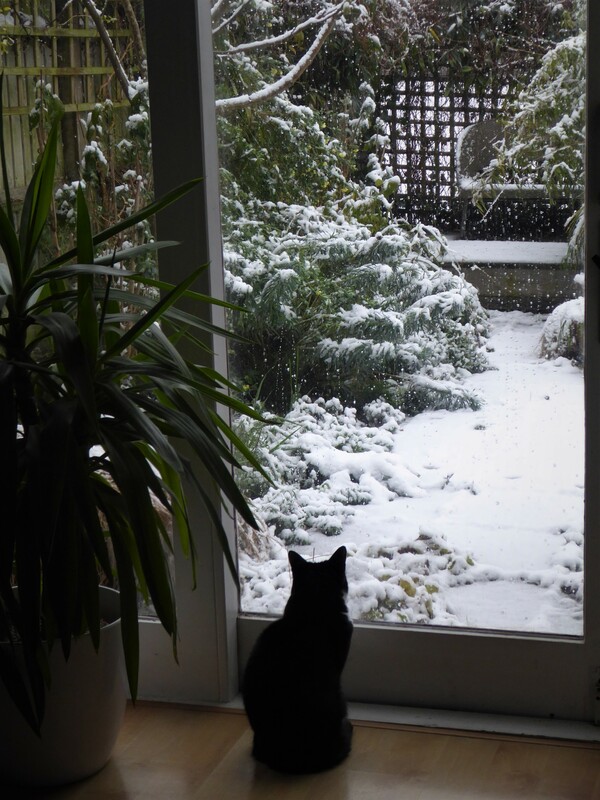 My garden yesterday…and my cat watching from the warmth of the indoors. 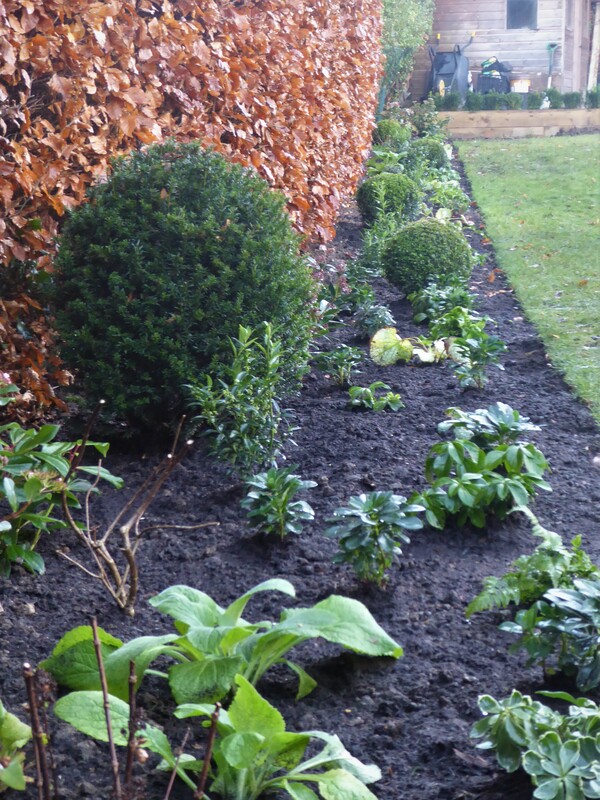 The border I started planting last week is finished today – over 100 plants in a shady, north-facing border, including massed Box spheres, Hydrangeas, Sarcoccoca ‘Dragon’s Gate’, Viburnum tinus, evergreen Ferns, Euphorbia amygdaloides var. robbiae, Hellebores, Pachysandra, Pulmonaria, Brunnera and Epimedium. 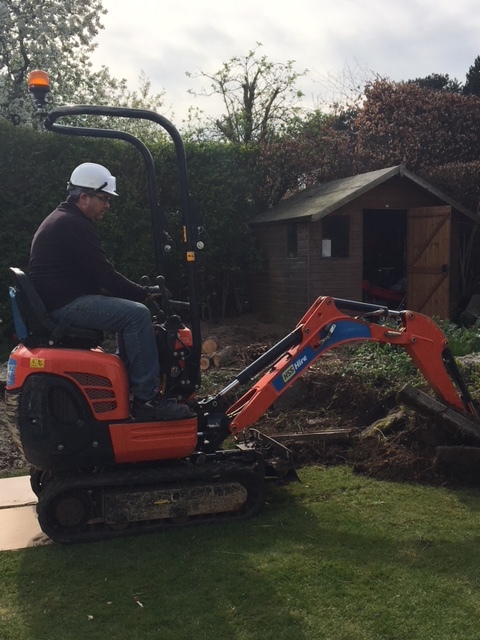 Next year we will be adding white and blue English bluebells and snowdrops. There are many excellent groundcover plants included in this list of perennials, so the long border will fill out nicely next year. 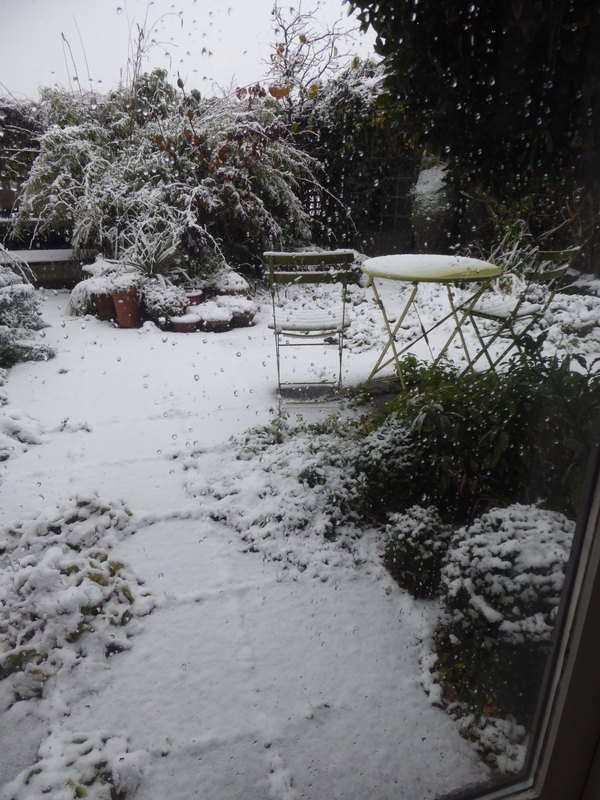 A very happy Christmas to everyone, and looking foward to a great gardening 2018 ahead.